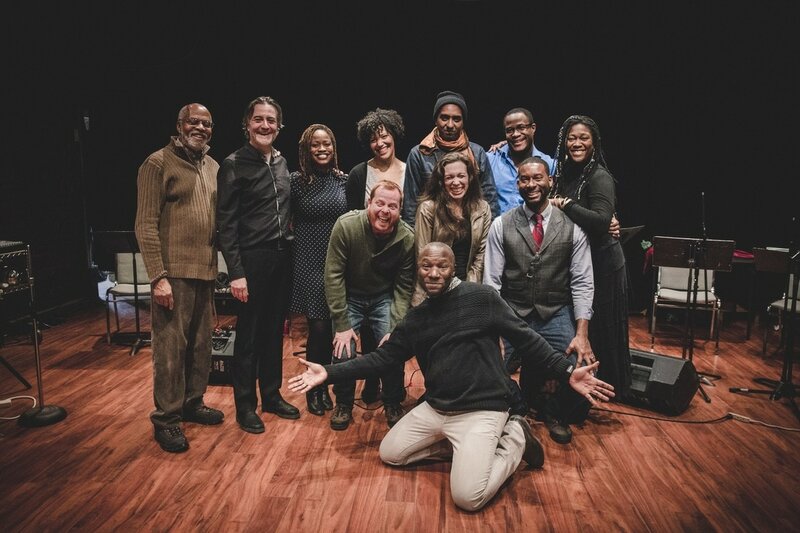 Inspired by the true life story of Elijah McCoy, The Musical McCoy is an electronic musical about an extraordinary black inventor. Born in Canada to parents who escaped slavery, McCoy helped revolutionize the steam engine, despite epic challenges. In this beat-based adaptation, McCoy’s creative advances of 19th-century technology are driven by a 21st century electronica score, creating an arc from his innovative spirit into our own age. McCoy strives to help humanity, and to love. But when his most brilliant inventions are subject to breakdown and disorder, and when the people he loves face unexpected death... how can McCoy reinvent himself in the face of chaos? CAST*: Alana Hibbert, Daren Herbert, David Keeley, Edward Glen, Lisa Michelle Cornelius, Matthew Brown, Nicole Brooks, Rudy Webb. Funding by The National Arts Centre, The Shaw Festival, The Canada Council for the Arts, The Ontario Arts Council, The Toronto Arts Council and The Grand Theatre in London. *The participation of these Artists is arranged by permission of Canadian Actors’ Equity Association under the provisions of the DanceOperaTheatre Policy. Video discussion (now somewhat dated) with Andrew Moodie and Vincent de Tourdonnet of The Musical McCoy, March 2013. 7 Min. 1860's. Elijah McCoy's parents had escaped slavery by fleeing to south-western Ontario, where Elijah was born and raised. Elijah did well in school and was sent to study engineering at Edinburgh University. In this scene, Elijah has moved to America but is unable to work as an engineer because of racial prejudice, so he invents in his spare time. Working as a humble locomotive oilman, he has come to know Don Bogie, another black man who also works the trains. In a previous scene, we saw an irate white woman insisting that they refrain from stopping the train every ten miles. They explain to her that it must stop, as all trains did in the late 1800’s, because of the need to re-lube. Elijah has married Anna, and they are being paid a visit at their home by Don Bogie, as Elijah tinkers in the basement. Elijah has a working, miniature scale-model of a steam engine with his revolutionary lubricating cup, which keeps the motor running without needing to stop every 10 minutes for re-lubrication. As Anna goes off to the patent office to assure that the device is protected, Elijah entreats Don Bogie to demonstrate the invention to the Steam Engine company for whom they both work. Elijah heads off shovelling coal on the Detroit train. Initially a duet about Elijah’s and Anna’s love for one another, the ensemble takes over the singing as the device is being demonstrated, making the the song about Elijah’s creation. Water, steam, abiding love, inevitable decay of all forms of energy/life. Act II, many years later, Elijah was let go by Michigan Steam Lube because of a southern investor who would not tolerate a black engineer on staff. Now his old manager shows up: nobody can solve problems like Elijah.